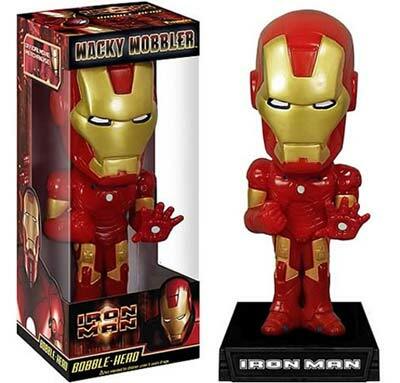 One film I can’t wait to see this year is Iron Man, there are bound to be lots of cool Iron Man toys and gadgets about, here’s one the Iron Man Bobble Head. In addition to his bobbing and nodding noggin, he features a personalized display base and bright red and yellow coloration. Everyone will notice this guy sitting on your desk or shelf! The Iron Man Bobble Head will go on sale in April for $12.99 at Entertainment Earth.